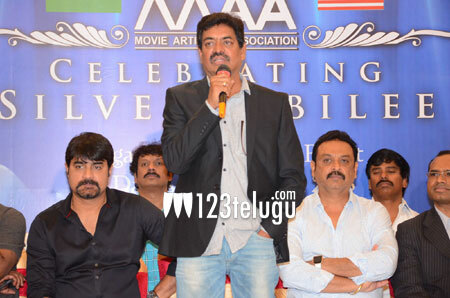 The Movie Artistes’ Association (MAA) seems to be quite miffed with several non-Telugu speaking heroines. Speaking at an event to announce the details of MAA silver jubilee celebrations in America, MAA President Shivaji Raja and General Secretary Naresh warned of strict action against actresses who do not co-operate when needed. “Some of the heroines come to Tollywood and earn crores of rupees. Can’t they co-operate and contribute towards the construction of MAA’s new building? If they don’t need MAA, we don’t need them too,” Shivaji Raja fumed. He also said that actresses take MAA’s membership only when they need to file a check bounce case and remain unavailable afterwards.